Claremont Chiropractic & Wellness Center is proud to help our patients live better lives without pain. We truly believe that nobody deserves to live in pain, even as they age, and we will do everything we can to ensure that our patients are comfortable. We are proud to help people after accident or injuries and when they are uncomfortable doing their day-to-day activities. If you have any questions about how we can get you out of pain (or just make you feel a lot better), don’t hesitate to contact us today at (909) 670-2225. Dr. Mark Waterman was referred to our family by Jacob Pinto. He not only came in on a Saturday & was able to see my son within the hour. I truly value when doctors put their patient's concerns first & most importantly, he was able to truly relieve the pain my son was experiencing in his lower back due to a martial arts minor injury. I highly recommend Dr. Waterman to all my friends, family & clients in the IE. I have switched to a more holistic approach to my family's health. I have gone to several chiropractors over the past 12 years. Never have I made the gains in pain reduction like I have with Dr. Waterman. In one month's time my neck and sacrum show flexibility and lack of pain that I haven't seen for 20 years. I also take my 9-year old daughter to him for nutritional consults. He has her back on a path to healing her gut and allergies. She has been under his care for 2 weeks, and already her stomach discomfort is subsiding. Smiles all around! 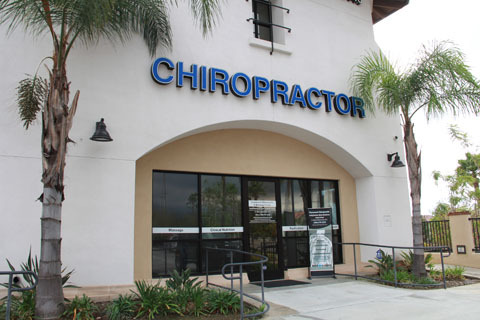 Claremont Chiropractic & Wellness Center, we love having new patients! Whether you find us though a friend or online, we always welcome new faces. We strive to give our patients the very best chiropractic care available. We also work hard to make sure to offer the most up-to-date chiropractic services so that you are able to walk out of each appointment feeling even better than you did after the last one. It is always our goal to improve your life through chiropractic care. If you have any questions regarding our services or your first visit, contact us today at (909) 670-2225.